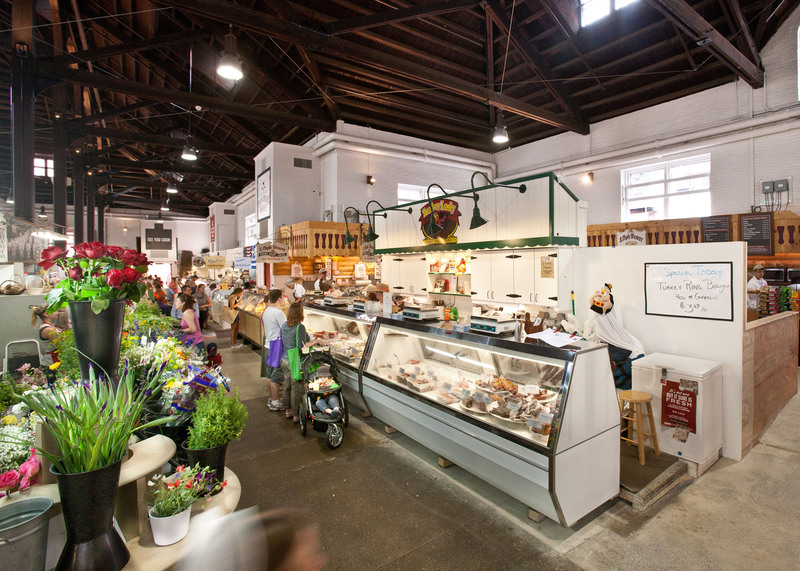 Beckoning regulars from the city and the suburbs, as well as tourists from miles beyond, the Lancaster Central Market offers a quaint shopping venue for everything from fresh produce and meats, to ethnic delicacies and baked treats. 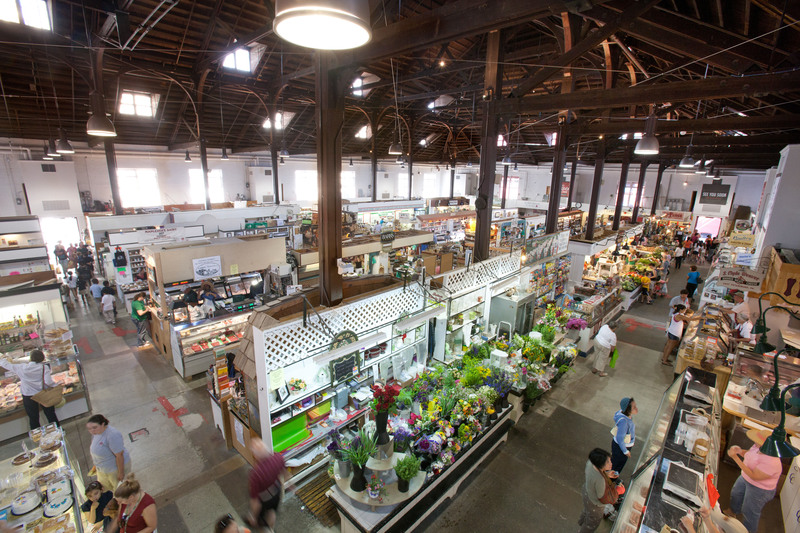 Built in 1889 and listed on the National Register of Historic Places, the market holds the honor of being the nation’s oldest continuously operating market house. With a long list of preservation and renovation tasks, we created a 13-phase renovation plan, allowing the work to be done without ever closing the market to the public. Facing the south wall, the market sales floor welcomes guests with a brighter venue, thanks to the light from windows that were once obscured by opaque panels. Painted columns unify the breathtaking structural system of the market. A birds-eye view of the market floor from the new mezzanine highlights the clean, open floor plan that offers shoppers plenty of elbowroom to browse and mingle. 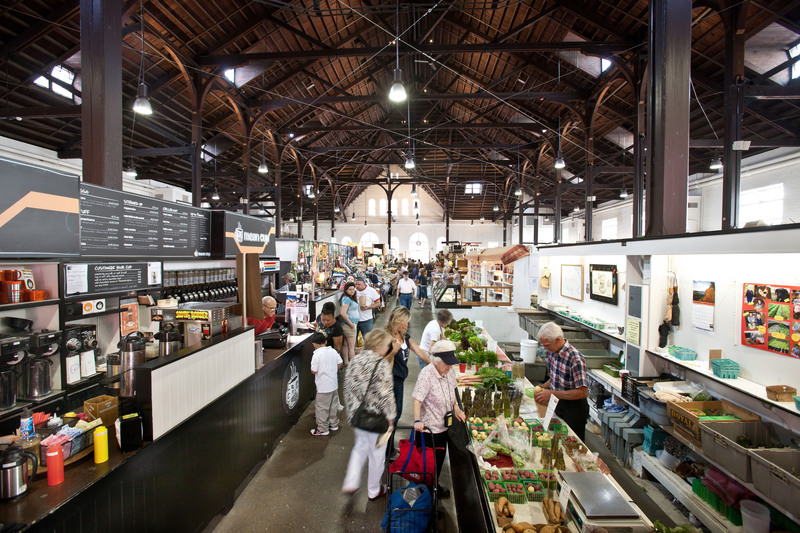 Visitors can escape the crowd and enjoy a panoramic view from the market mezzanine. The railing system was designed with bolted connections, eliminating the need for market closures due to welding in the food service environment. In addition, the HVAC system, originally mounted above the south doors, was relocated to expose the original transoms. 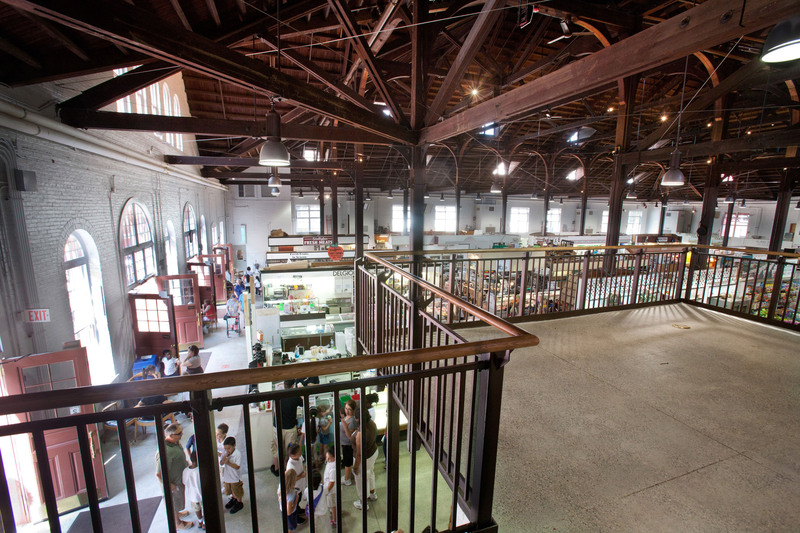 From the floor of the market, visitors may notice the detailed steel supports and railing system which we created using historic reference designs. 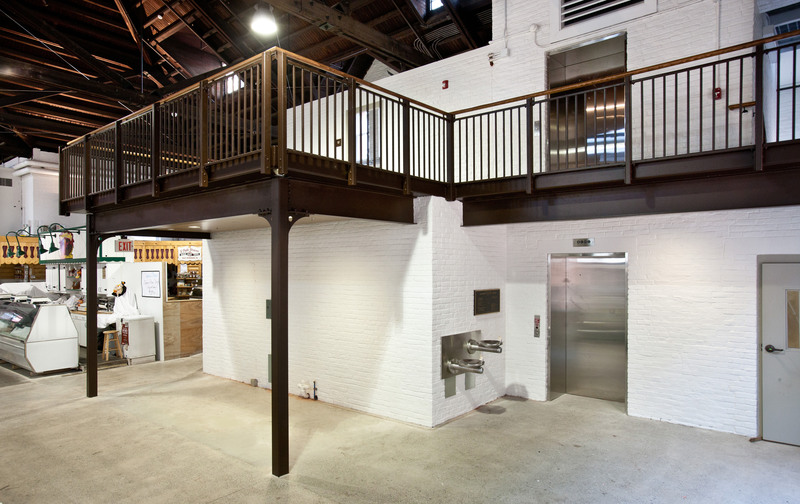 The area under the mezzanine offers more space for sales, and elevator and stair access to the mezzanine is conveniently located inside the southeast tower. 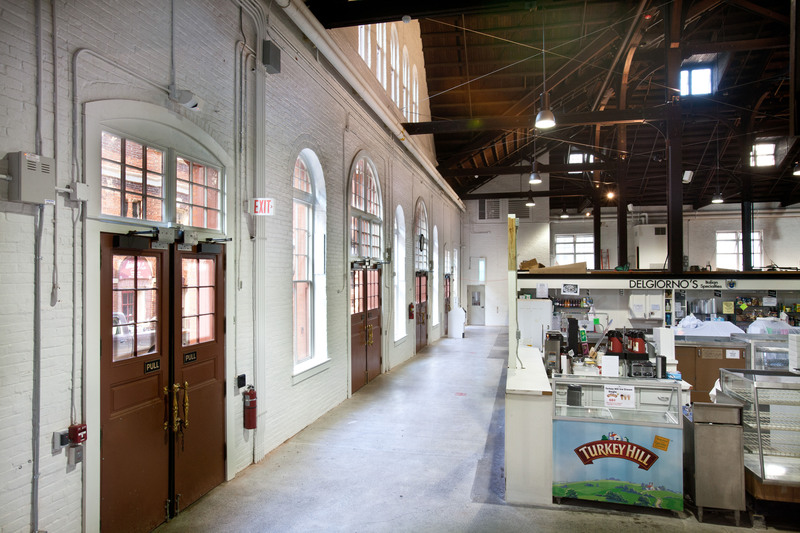 Once blocked to reduce glare, the market’s high windows were uncovered, restored and coated with a tinted film, allowing visitors to enjoy the natural light without the glare. Mechanical and electrical components are surface-mounted on walls, allowing us to preserve the original historic materials of the market structure. 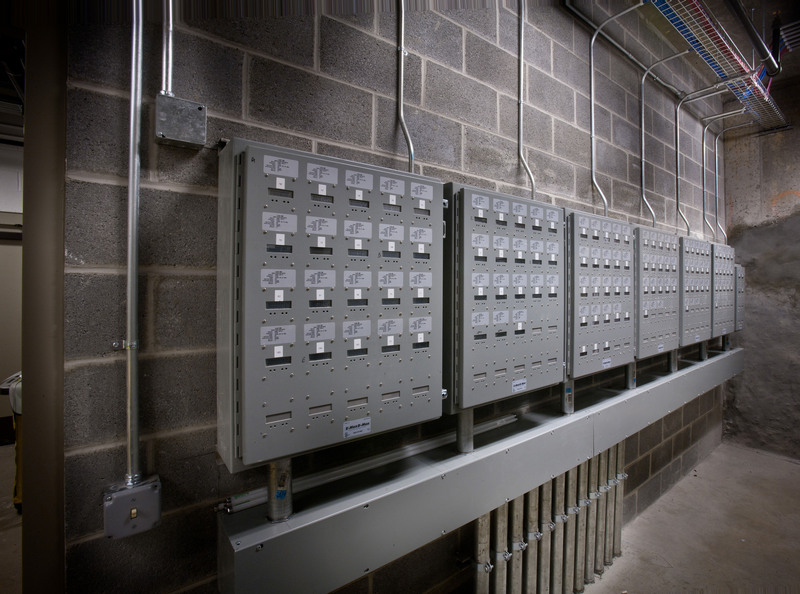 Beneath the bustling market, we excavated a new basement space for house-side electric meters for each retail stand, preserving valuable space on the market floor. 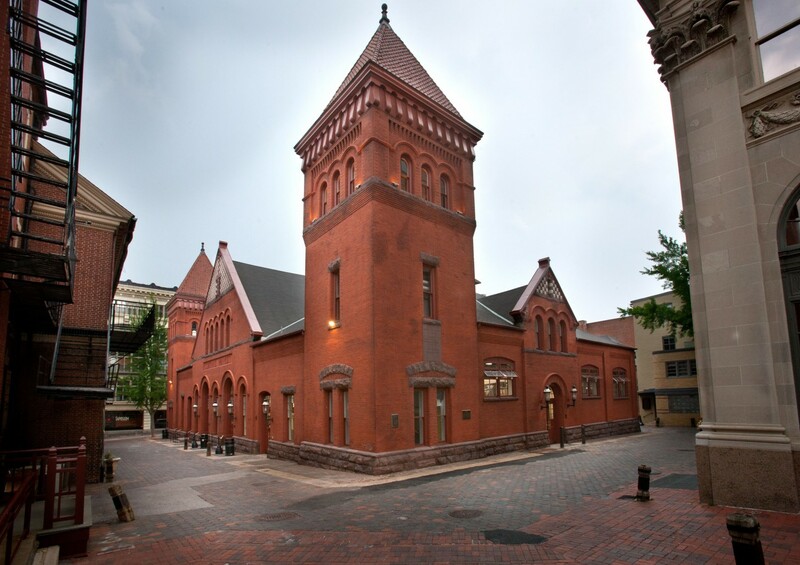 Following the lines of the exterior walls of the adjacent historic buildings, the market footprint further preserves the historic ambiance of its downtown setting.